FINALLY DONE! I went 4 for 4 with this soul sucking test. I have never posted before but I have scrolled through the topics many times looking for encouragement and I found it often. This is a great resource full of people who really understand what it is like to give part of your life to studying for this test. The reassuring words I found here kept me going through the dark times of studying so thank you to everybody! I can't believe I'm done!!!! OMG I finally did it!!!!!!! OMG Finally done! Can't believe it after harsh 6 month period…. My nick name is Sunshine but the fact is that I have never been in touch with it since I started studying for this CPA exam. I KNOW It HURTS! 4 for 4 on first tries thanks to NINJA! Felt like I failed REG by a point or 2, as I knew I missed 10 questions which I considered easy on the MCQ – and the SIMs were a nightmare. I somehow pulled an 83, while I have said “somehow” every score release but Ninja never let me down. 80+ on all 4. Big shout out to CPAExcel also, was good to get in depth enough on all the lessons for those curveball questions. Ordered my xbox one.. scheduling the celebration dinner and getting to see my girlfriend to the fullest who I met shortly after starting this journey. I'M DONE. IT'S OVER. THE NIGHTMARE IS OVER! Phew. Graduated 17 months ago now. All said and done, I failed each test once, but I would attribute 2 of those failures to getting all 4 exams on one NTS and burnout. Once I began using Ninja MCQ as my primary, I rattled off 3 in a row with 88, 89, 88. It's finally over. Passed all 4 the first time. Ninja MCQ really helped. Looks like CPAExcel combined with Ninja MCQ works pretty well for most people. I really felt doing all of CPAExcel's questions once while reading the textbook and then doing all of Ninja MCQs as review helped to solidify all the material into my little brain. This forum is a great resource too; posters' tips and exam experiences. Otherwise, if you don't know other people taking the exams, it's often hard to gauge if you are under or overstudying. 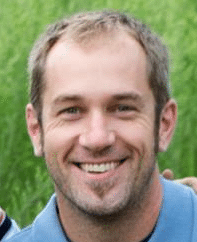 Now to worry about the licensing requirements….and finding a new job. Feeling overwhelmed posting here. Finally my year long journey is over. There were many ups and downs but this forum always helped me get back up and push harder. I used CPAexel book and NINJA software. Hands down NINJA MCQ prepares you really well. Now I can enjoy other things and have my life back. definitely time for vacation. I wish all the future CPA best of luck. Hardwork will always pay off! I'm finally done. After 3 years and multiple failures – I have finally passed all sections. I am DONE!!!!!! 4 out of 4, 5 months of hell, studying everyday, but it worth it! Congrats everyone and good luck with your carrier!!! I am done!!! I have to say this forum was a lot of help in getting through this process. I started studying for FAR back on February 2015 and took the exam in October 2015. I decided to tackle the “most difficult” section first to get it out of the way and so I took my time before taking the exam. I wanted to make sure I passed on the first try, which I did. Then, I tackled what I thought would be the second most difficult which was REG (since I work as an auditor). I studied for 3 months prior to taking the first attempt. Sure enough it took me 2 attempts. After REG, I tackled AUD in about 3 months, then BEC in about 3 months. I am 40 with 3 kids and a full time job as an auditor. My third child came into the world during my BEC study. I feel very accomplished with what I was able to do with everything going on in my life. 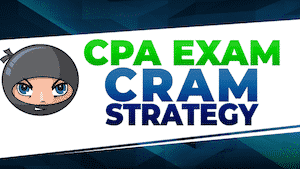 Thanks to this forum for insight into the CPA exam. Done done done! I did it!!! Feels so great to be done. Everyone on my team at work knew I was getting my score Monday night and that it could be my last one. Didn't say anything the next morning so they assumed I failed. My boss was scared to ask me about it but when she finally did people ran in congratulating me and a flood of emails came in from all the partners. Now it's time to figure out what to do with my free time. Fivehurdles is done! Can't believe it – was so sure I failed FAR a second time but passed it with a 78. All hurdles are now complete. 51 years old. Started working on my fifth year back in 1998. CPA eligible in 2009. Stopped and started and lost credit on exams two previous times. Convinced myself that I was already a Controller and I didn't need a CPA. Finally got ticked off in August of 2015 after a missed job opportunity due to my lack of the designation. A really good job. I somehow managed to pass all 4 in a 15 month period on the first try! I'm still amazed to be honest. In that time period I moved twice and I have a family. I have a 2 year old and a 7 year old. If I can pass, anyone can! It was lots of dedication and hard work. My husband also really helped me get to this point. The CPA Exam gods smiled down on me twice and I squeaked by with a 75 not once but twice! I had really great scores on the first 2 exams I took which were REG and AUD. Then, we moved in with my in laws and it went downhill from there and that would be the time I got 2 75s! But a passing score is a passing score! So in a matter of a week, I bought a new house and got my passing BEC score. Life is good! New beginnings all around! I am officially done with the CPA exam. I have passed all four parts within 14 months on the first try. I passed FAR and AUD in 2015 and REG and BEC in 2016. It's been way too long since I started this journey back in 2011 when I was working and studying on and off. Now, since I've decided to take the exam seriously, I nailed all of them. 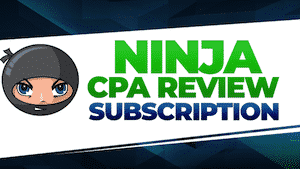 I want to thank Jeff Elliot for the NINJA CPA MCQs and Audio notes since these were instrumental supplemental material in helping me study for the CPA exam. Yes, I got 84 not once, not twice, but three times. I don't know how it happened, but it happened. After waiting on pins and needles for my 2nd attempt at REG, it's finally over!! God is so beyond faithful, and this crazy sense of relief is so strong. All Becker, all the time, but I can't wait to get rid of my books! I'm DONE! well not technically, i still need to take the AICPA ethics test but as for the CPA exams I am done! Got a 77 on my AUD retake and blue sky's ahead now! Done! Thank you 71'rs for all the advice and more importantly for the stress outlet. Its been a long 8 months. My advice – crank the material, practice MCQ's and just go after it harder than you possibly can imagine every exam. I cannot imagine doing one of these twice. Over doing it is a lot less work than doing one twice. PASSED REG with a 79! And with just 2 days left before losing credit for FAR. I am SOOOO happy. Next stop, CPA! Congrats to everyone who is done with this exam forever! What a great feeling. I'm official done! I been on this journey for two years. Started officially studying December 2014. Passed some and failed more. I failed my last section a few months ago with a 74 which was a dagger. I kept my faith and knew I had one more chance to pass before my first exam expired. All glory to God he kept me during this journey. I'm finally done with the CPA exam! I can't describe how this feels. From start to finish I worked on this for a little over 2.5 years. Finally today I can say I passed my last test, BEC, with an 81. I started with Becker, but didn't pass a single thing. 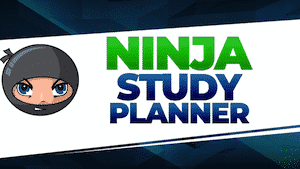 I switched to Ninja MCQ and started passing tests. I struggled a lot with BEC, I had to take it 5 times. For the 4th take I added Ninja Notes which helped me understand the topics much better. 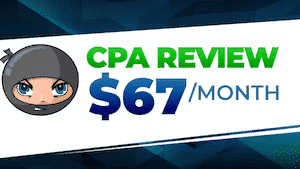 You can pass the CPA! DON'T GIVE UP! Blood, sweat, and tears. Done. This forum and Jeff are God sent. DEUCES. Never thought I'd be able to post here! I just passed REG. With FAR credit on the line, I was super nervous for my THIRD try at REG. For this try I started from scratch and re learned everything. Passed all 4 parts of the CPA this year (one each quarter) and am officially done. It took me over 4 years to pass this exam. Biggest take away from my failures that I'd like to share…if you are not serious about passing the test then stop now, don't waste the time and money. Nobody says you have to take the test. You have to want to pass and get those letters behind your name. It's up to you. Once you become fully committed to the test you will pass. Also, I highly recommend the live Becker classes (8 hrs on Saturdays) and to do the Final Review (also by Becker) for each section. Wow, I am finally done with CPA exam after taking Reg!! So happy, no more studying!!! !